Our father, Kappy Pease, is the best dad that any five kids could ever ask for, and amazing grandfather too. Unfortunately, he has a severe lung disease (Alpha-1 Antitrypsin) which means that his only chance at a long and healthy life is a double lung transplant. The out-of-pocket expenses for this procedure are more than we can bear without community support. Kappy’s diagnosis resulted in major changes in his life. Due to the fact that his job required a great deal of physical activity, there was no choice but to be put on disability. Additionally, Kappy also has a great love of the outdoors. 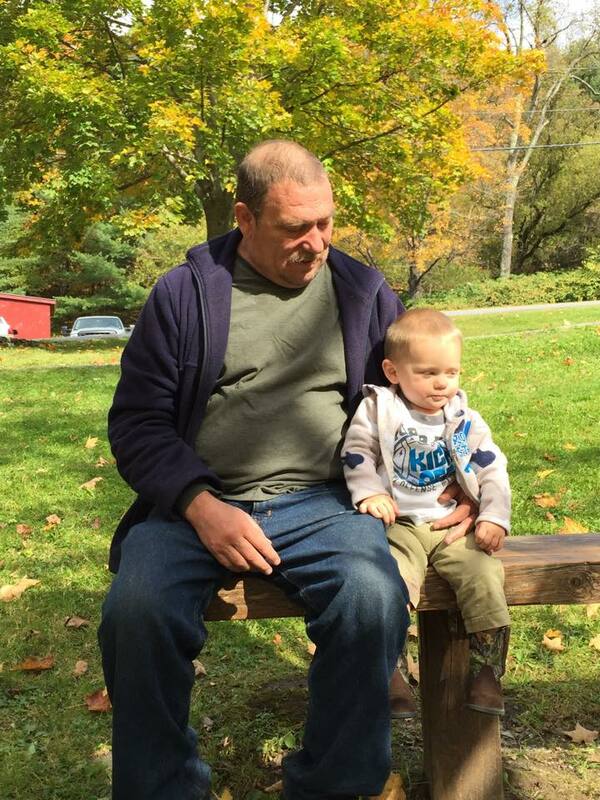 Some of the most important aspects of his life, including hunting, fishing, and even walking or holding a newborn grandchild have become a hardship. Transplants are life-saving but incredibly costly. Post-transplant, Kappy will be responsible for various expenses, including a three-week hospital stay, a lifetime supply of anti-rejection medications, post-surgical check-ups, in addition to travelling to and from Boston, medical equipment, and living expenses. To help with the financial burden of Kappy’s uninsured expenses, a fundraising campaign in his honor has been established with Help Hope Live. Kappy has chosen to fundraise with Help Hope Live in part because Help Hope Live assures fiscal accountability of funds raised and tax deductibility to the full extent allowed by law for donors. Donors can be sure that funds donated will be used only to pay or reimburse medically-related expenses. To make a donation to this fundraising campaign, click on the Donate Now button. Thank you to everyone that came out/donated to our Pig Roast! It was a HUGE Success! 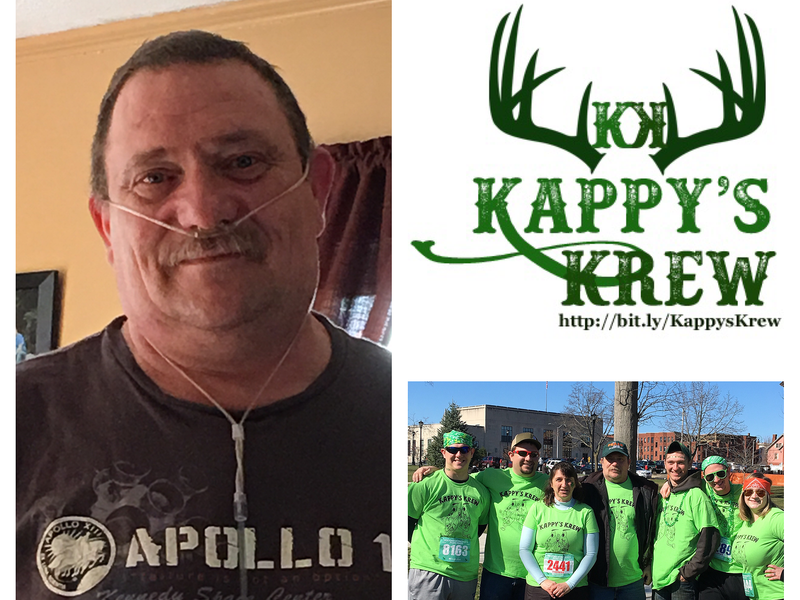 Kappy is officially on the lung transplant list! We were told the avg time for transplant has been about a week!!! More updates to come! Thank you again for another successfull Kappy Krew shirt sale! Don’t forget to register and get your tickets for the Pig Roast coming up!! Back to Boston tomorrow. Last big day of testing we hope! Don’t forget to get you Pig Roast tickets before they run out! Boston bound this afternoon. More consultations and tests! Getting closer and closer every day! Heading back to Boston tomorrow for more tests. Getting one step closer to the double lung transplant. This weekend is our Yard and Bake Sale! Please stop by to join us and say hi to Kappy as you enjoy a sweet treat or two! Today Kappy heads back to Boston for a day of consultations and yet again some more blood work! Don’t forget about our awesome Yard & Bake Sale coming up next weekend! Wishing all the father’s out their a Happy Father’s Day! Our Kappy’s Krew shirt sale did AMAZING! we were able to sell 122 shirts! Now we are all hands on deck for our Yard & Bake Sale coming up the last weekend of June! Another Boston road trip this afternoon for yet again…MORE TESTS! And just a reminder don’t forget about our Kappy’s Krew Tshirts now on sale! Good morning everyone! Just wanted to give another quick update on Kappy’s Boston visit yesterday. Kappy got to meet his surgeron, Dr. Villavicencio and he informed us what to expect during and post surgery and answered all of our questions. Kappy heads back to Boston Wednesday for yet another test. Soon enough Theresa will be a pro at driving to Boston! Good Morning! Just an update Kappy will be heading to Boston today for a Support Group. Then tomorrow he will be traveling to Waltham for a 4 hour Gastic Study followed by a 1 hour Barium Swallow! Send some positive vibes his way! Hey Everyone! Tomorrow we will be traveling to Mass General for a busy day of testing and lab work! Wish Kappy good luck! !